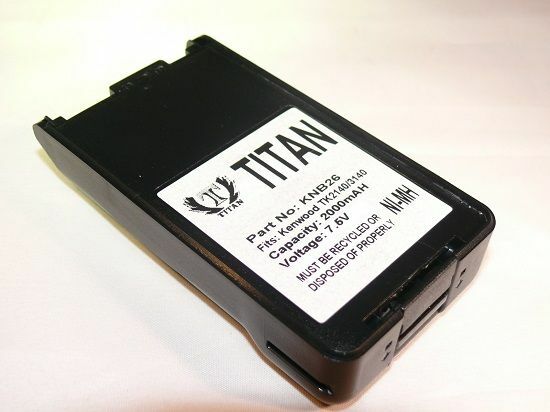 " 18 Month Warranty - High Quality Cells and Plastics Kenwood KNB26N 7.5V 2000mAH Ni-MH Replacement Two Way Radio Battery by Tank . Fits And Replaces: FTH1010, KNB25, KNB25A, KNB26, KNB26A, KNB26N, KNB35L, KNB35Li, KNB-26N, KNB-26, TK2140, TK2160, TK2170, TK3140, TK3160, TK3170, TK3173. 18 Month Warranty - High Quality Cells and Plastics "